Life is precious. However, the way we treat it at times is the exact opposite of that. I am reminded of the game we played as children, we called it “King of the Mountain” in our neighbourhood. The objective was to climb to the top of the dirt pile and defend your spot with all your might! This would involve tossing all competitors off your “regal territory.” What a blast! Unfortunately, my friends, some adults, some Christian adults, some Christian adults who are leaders in the church are still “playing” that game. But, it isn’t a game. And, it is acted out in the “dirt” of daily crux of relationships and responsibilities. In the church of Jesus Christ the rules are different, they are the exact opposite in fact. The way up is down, the way to life is death to self, (Phil 3:8; Matthew 10:38). We place God’s agenda above our own and seek to make him the King of all of who we are. Our goal is to advance his ethic of love and forgiveness, (Matthew 28:19-20). Because life is precious we take serious the biblical commands that are centred around the “one-anothers”, (Romans 12:3-21). In the community of the redeemed there is a mutual recognition that on our own we cannot make it, (1 Corinthians 12). We need each other to “spur each other on to love and good works,” (Hebrews 10:24). I, therefore, cannot claim that I am superior to you! How dare I! The spiritual leaders of the church still need to recognize their need to practice these good works. Too often, I have seen those same leaders act as if they are above the necessity of daily practicing the spiritual disciplines of prayer, love, and diving into the Bible, realizing that they too need to confess their sins. Some of these people have forgotten that they have reached where they are because did practice them at one time, not because they deserve to be there! Friends, we must live in the light of the truth that Jesus Christ is the true King of the mountain in our lives! How is it going for you? 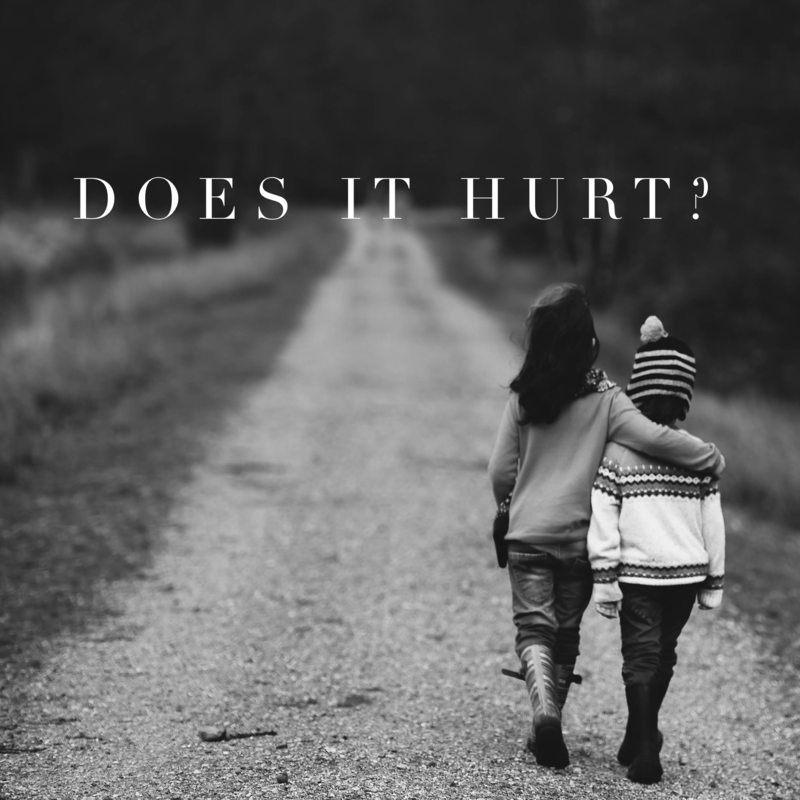 “Does this hurt?” “How about here?” At certain times all of us have heard those words from a Doctor who is checking out what physical problem we may have. I recall running across the lawn of a neighbours’s yard and not seeing the little wire fence in the dark of night, tripping over it and breaking an arm! It wasn’t difficult for the emergency room nurse to tell I had a problem as my arm twisted in the wrong direction! Less obvious are the spiritual wounds we carry around that come as a result of our own sin, and that of others. Emotional wounds that were inflicted by a parent, a spouse, or another person we trusted, carry their own set of damages that leave scars. We human beings have an uncanny knack of hurting one another, sometimes we don’t even realize that we do so. But when we put our needs and wants before serving God and others, we cause damage. And, the result is that we ourselves become twisted emotionally and spiritually. The twelve men who followed Jesus Christ were not exempt from this malady. You will recall that one of their most heated discussions had to do with which one of them would be the greatest, the most important, when the kingdom of God reigns on the earth! Really? How could it be that after the Lord announced to them that he was going to be delivered to the Jewish authorities to be killed, that these men thought it correct to discuss the place of their importance! However, without them even knowing it, these men, in a spiritual sense, began to inflict themselves with a world of hurt. Whenever we begin to think about “me first”, like the disciples did in Jesus’day, we unknowingly begin to hurt ourselves. We convince ourselves in thinking that this is something we deserve! But unless God is the one who gives it to us, our striving for position or priority actually hurts ourself, and those closest to us. We unknowingly trip over the neighbour’s invisible wire. Our attitude needs to be that which places God first, others second and me last. Here is the sad thing we need to acknowledge, repent of and confess: the church has been the cause of this type of pain. To be specific, I’m not talking about the church as in the building, rather the church as in people who have knowingly hurt people. We have run over people in our effort to establish our agenda (we use “spiritual” language to do so!). We turn member against member. Sooner or later God will call us to account as to what we have done! A Holy Spirit led, driven movement of God is not that. It is one where God’s people confess their sins one to another, and they don’t allow hurts to trip up God’s agenda. It is a movement in which the fruit of the Spirit is evidenced and God’s agenda takes first place. Nobody needs to ask who gets the credit but rather everyone knows it is God who gets the glory all day, everyday. Thanks be to God for his unspeakable gift! May we treasure him, and may that be reflected in our desire to encourage others to do so as well!